Rosies nightclub is a club like no other and is one of the best pubs in the whole city. From friendly service to a great food and drinks menu the place is a must to visit. The place is perfect for a drink at night or a party paradise as the club is opened till 4 in the morning. So this spot becomes the best place to visit with friends and make memories that will last forever. The prices may differ if there is a band performing in the club. Buses can be taken from Bus Exchange to the destination. Trains can be taken from Chester train station. 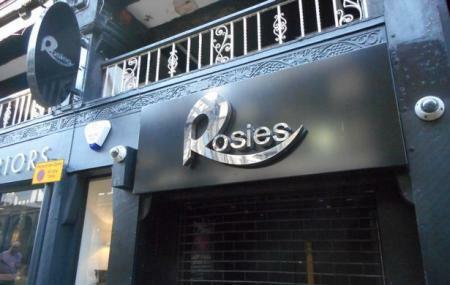 How popular is Rosies Nightclub Chester? Door staff openly assaulted a person with asbergers and autism who has been in the club for two hours because he doesnt ‘dance right’ this was not made clear until he was kicked out and made to look like a terrible person. You should be ashamed. We were backed up by a near bar who advised that Rosies was a terribly discriminative bar. Music was decent until a friend of mine and myself were escorted out back to be checked fir drugs. When asked "What have have you been taking?" we had a UV torch shone on our faces. Only to reveal that we had been taking drugs which we had never taken. We were then asked to empty our pockets and were given a pat search. After denying taking drugs we had the torch treatment again and apparently my nose "lit up like a Christmas tree". Keep in mind we had never done any drugs and the reason we were questioned in the first place was because we were not dancing as we were out of breath. So if you plan on going ensure you have near infinite stamina and dance at all times. Also don't worry about taking coke in there because even if you don't you'll get "caught" for it anyway. The staff that were questioning us "knew" we were on drugs because as they said, it's their job. I would advise those particular people to find a new job since they aren't very good at it. Hello everybody my name is Kealan Fleet and i attended this "club" and i would like to complain in the fact that the "bouncers" of this "club" chose to humiliate and degrade a person with a mental disability (autism) by kicking him out simply because he was not dancing with all the other disgusting nimwitted chavs that attend this scummy holy of a place that person in question is myself this is quite honestly the most disgusting place i've ever had the misfortune to visit avoid at all cost or god help you. Really nice venue with 3 great rooms. We went on a Saturday night and it was absolutely rammed but still managed to get served quickly which was great. Doormen were friendly and helpful, well worth a visit! Thanks! I have so much fun tonight!! !